This detailed manual provides guidance to diversity trainers who want to conduct workshops that move beyond personal awareness to building specific skills and cultural competency. The manual includes sections on Models of Cultural Competency, Communication, Conflict Resolution, Team Building, Giving Effective Feedback, and Individual/ Organizational Action Planning. 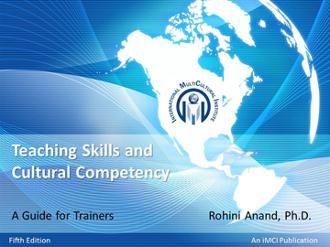 The manual presents guidelines for trainer competencies around personal awareness, facilitation skills and knowledge. It also provides tools for using case studies, designing an effective needs assessment, and identifying the advantages and pitfalls of working in diverse training teams.